SEOUL, April 17 (Yonhap) -- South Korea agreed with the Philippines to launch bilateral free trade talks soon as part of efforts to bolster economic ties, Seoul's trade ministry said Wednesday. South Korea's Trade Minister Yoo Myung-hee met her Philippine counterpart, Ramon Lopez, during a visit to Manila, where the two agreed to negotiate on a free trade agreement (FTA) with the goal of finalizing the details in time for Seoul's summit with the Association of Southeast Asian Nations (ASEAN) in November this year. Among ASEAN members, the Philippines is South Korea's fifth-largest trading partner. The bilateral trading volume between the two came to US$15.6 billion in 2018. South Korea earlier clinched FTAs with Vietnam and Singapore, and is currently conducting free trade talks with Malaysia and Indonesia. 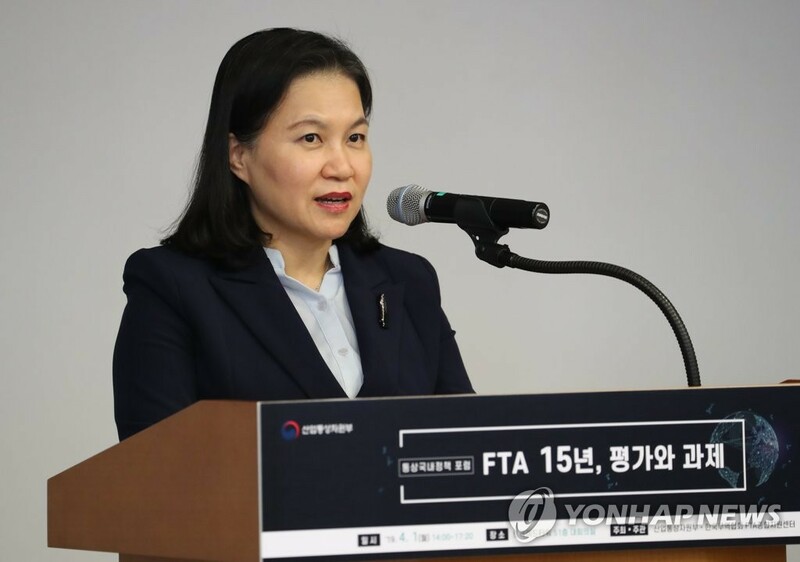 Aside from its FTA with ASEAN, Seoul has been seeking to sign separate deals with individual members for more detailed and customized trade terms. The Moon Jae-in government has been promoting its so-called New Southern Policy, which focuses on bolstering ties with Southeast Asian nations. The ministry said the announcement is significant as this year marks the 70th anniversary of the establishment of diplomatic ties between Seoul and Manila.